Bookmarked this the moment I saw it. And what better motivation is when the house ran out of bread and I forgot to buy. Forced myself to bake them since I already bought the Heavy Cream yesterday. I wasnt quite sure if the steps in shaping the buns as a bit confused on the way the source guided me. So i jus shaped everything and let it go for 2nd proof. Haha~ And yes, i always cant shaped my animal buns well. Failed arts badly..
My 1st attempt. Soft and yummy buns but ugly Panda. My kids super likes it. Ok, that is enough to set me for a 2nd attempt. I did it again the next day. Tis time i brush milk wash b4 putting on the eyes, ears & nose. It did stick well but still a bit distorted after baking. I think I need more practise. My mistake for 1st bake: Baking tin not greased well enough so I had to pull out the buns 1 by 1 to cool on rack. But most important, it is well received by Hub & kids. My mistake for 2nd bake: Still not greased well even though i really put lots of butter to grease it. My center roll bottom stick a bit lo. So difficult la. 1) Melt Milk, Heavy Cream & Cheese. I use microwave instead of stove top. I use 30sec interval and stir. Leave it to cool. 2) Put remaining ingredients, flour first then the rest at differenr corners of Breadmaker. Let it knead the dough & proof the 1st time. 3) Once proof, take out dough and punch out air. Divide into 16x40g dough. 4) Add 10g coco powder to remaining dough and knead til it becomes 1 colour well. 5) Roll and shaped 40g doughs into balls and place in greased tin. Pinch out the ears, eyes & nose on estimation. 6) After 2nd proof, brush with milk and bake at 170deg for 30-35mins til it browned nicely. 7) Take out from oven and put on rack to cool. 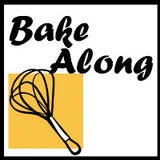 Hi Pricilla, I have been enjoying reading your blog, especially on the recipes for baking bread. 2nd, use 发面 for 1st proofing. What's next for baking? You are using function 14. May I ask what's that? I am getting discouraged by the repeated failures. I would appreciate your sharing. TIA! I normally use Function 8 to knead the dough, and usually use it twice to knead longer and ensure that dough is smooth and well mixed. After which, I used Function 10 for 1st Proof. But lately my Function 10 don't work, so I leave it inside for 1-1.5hr til dough doubled. Next I will shape the dough. For dough, I will shape and use the BM to bake with Function 14. For buns, I shape and use oven to bake as per the Panda Buns.